I’m putting my new Team Orion RS engine together, and I figured I should share how I do my clutch. It is just the standard Kyosho clutch. IFW136 is the blue shoes. First I file on the shoes. When they wear, the material comes off the top and goes into the middle over the spring, and also off the edge of the shoe. 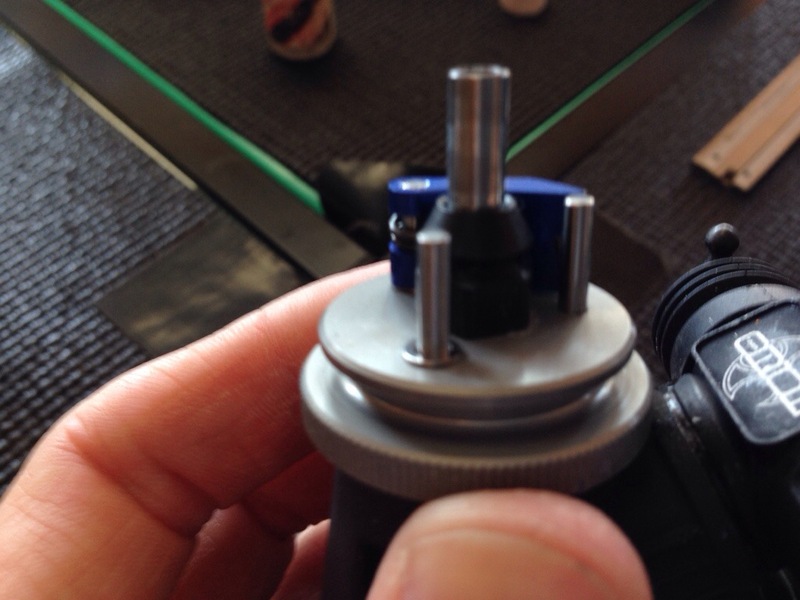 Next I like to use 1 extra shoe shim to space the shoe higher off the flywheel. This will allow your clutch to wear more before it drags on the flywheel. This part is important to me. I don’t use a normal clutch tool. I’m crazy sensitive to my feel and when you stretch that spring out to push the shoe down, it weakens the spring. 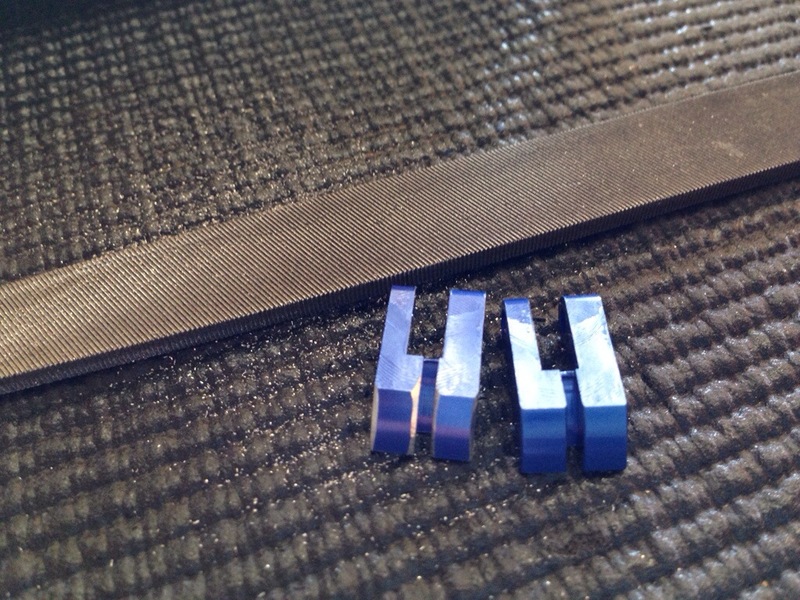 I use the tapered Kyosho clutch nut IFW54B. 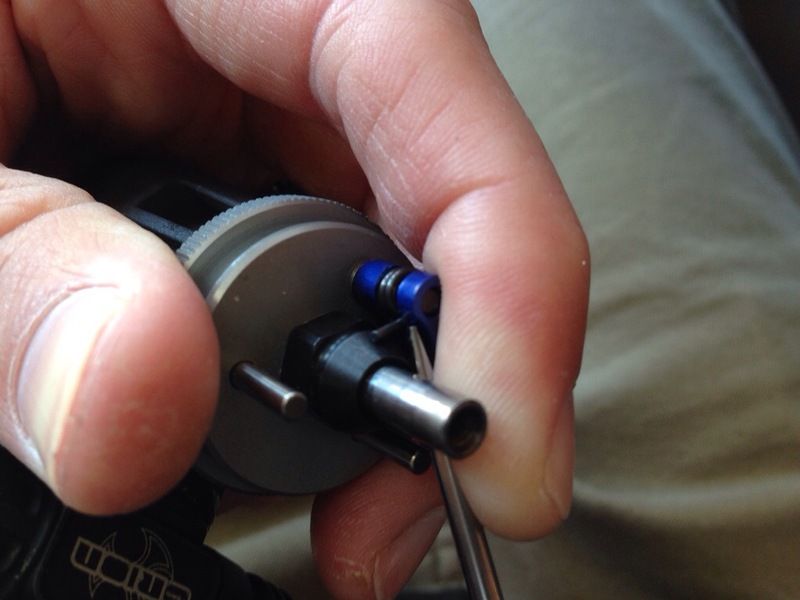 I just use a tuning screwdriver to push the spring down. Don’t use this technique if you are NOT using a tapered nut. A screwdriver is dangerous with the normal type of nut. 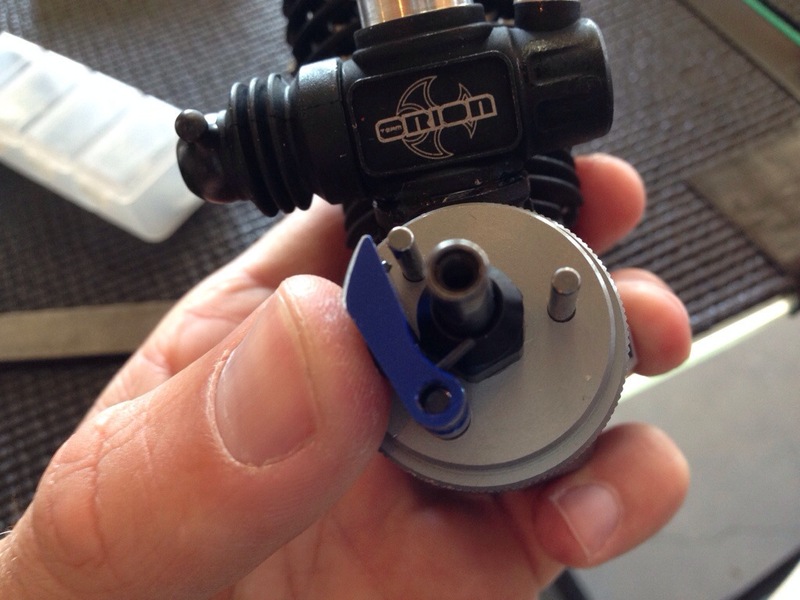 Boom…..your done and now ready to burn gallons on a long lasting clutch. Good luck out there, thanks for checking in and God Bless! What’s the difference between the blue shoes and the silvers that come with the kit? I feel the blue shoes have a better snap feel. The silver seemed to slip a little. I’ve only tried silver a few times. I’ve pretty much ran blue since I’ve been driving Kyosho. Hi Jared, I have a Spanish blog with tips and tricks about set up rc cars, to help the 1-8 buggy racers, i would like you help, only 5 question about set up, I have asked the same question to Reno Savoya and the people love the answer. Please would you send me a email? Deja de pedirle datos a los de tu competencia! Lo que te diga de Kyosho no va a servir en el Xray!